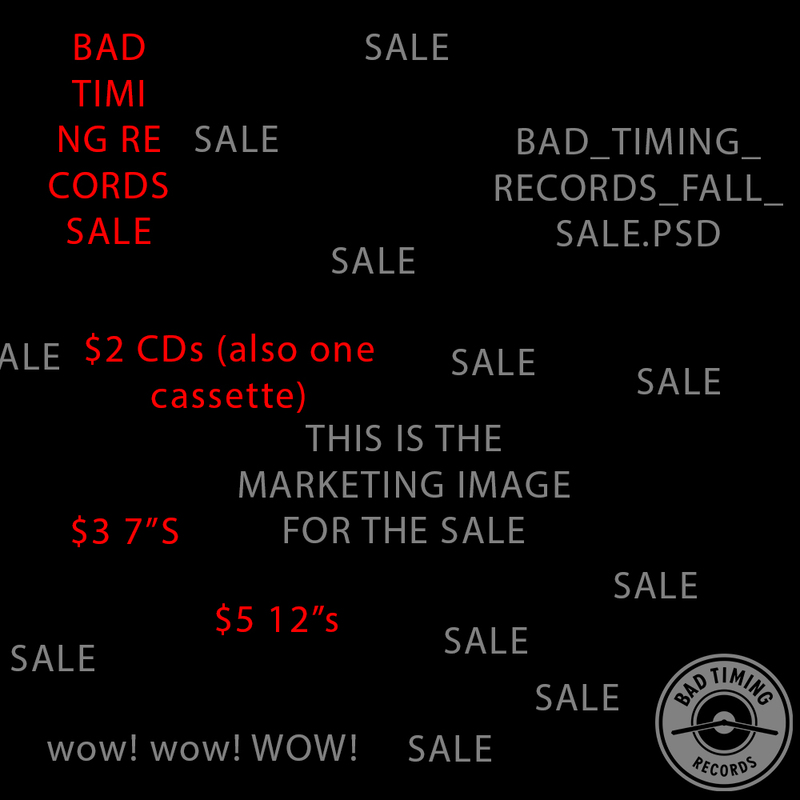 This is a fall sale nope now it's just permanent -- and a good opportunity to update you guys a bit on what's going on with Bad Timing Records. We've always taken pride in being super transparent, in everything from advising about vinyl delays to Zack and I making our personal email addresses available to any BTR customers / fans with questions about anything regarding the label. When we first launched the sale, we had slowed down a lot in 2016 and were looking to downsize our inventory heading into 2017. The downsizing of our inventory will be a constant problem for our little label for probably forever, so we're leaving these items on perma-sale. Take a browse in the drop-down menu. It's a decently large list of CDs, 7"s, 12"s and more. All CDs are $2, all 7"s are $3, and all 12"s are $5 (!!). Some prices may be lower. Titles available in this sale are below. CDs (and the one cassette) are $2, 7"s are $3, 12"s are $5. Some prices may be lower.